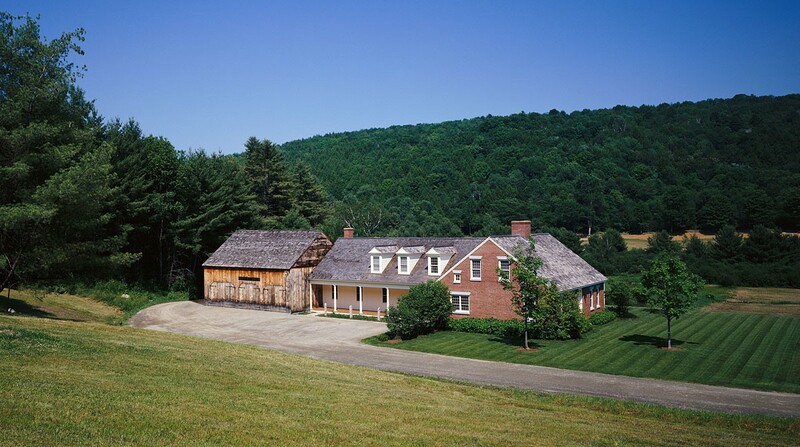 A newly constructed ell connects a reproduction cape and a timber framed barn. A master suite is located on the second floor of the ell with a sitting room and a pool room on the first floor. 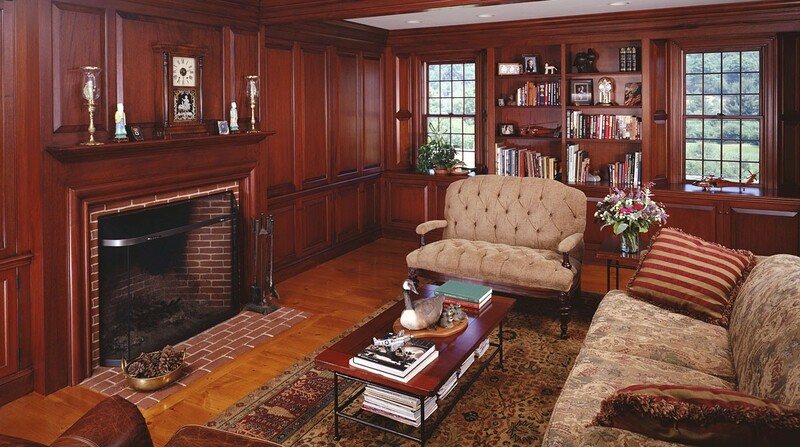 The sitting room is fully paneled with hand selected, wide mahogany boards. 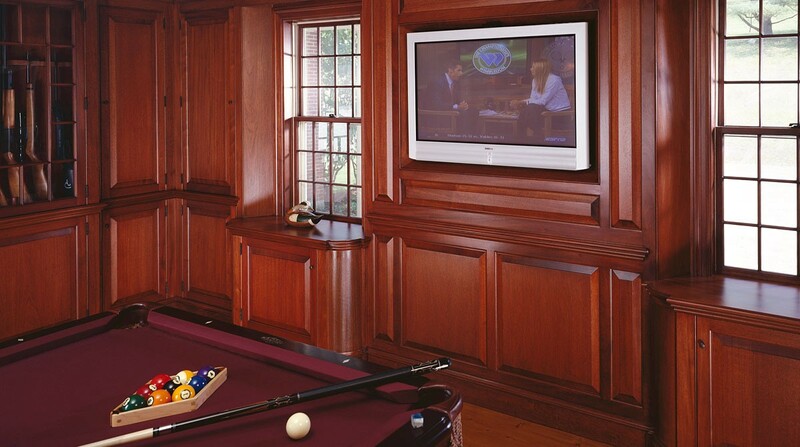 The pool room is detailed with a paneled wainscot, a built-in, flat screen TV and cabinets. The warm mahogany and careful detailing provide an elegant yet relaxing atmosphere.